Escape just east of Toronto to the Kawarthas Northumberland region. 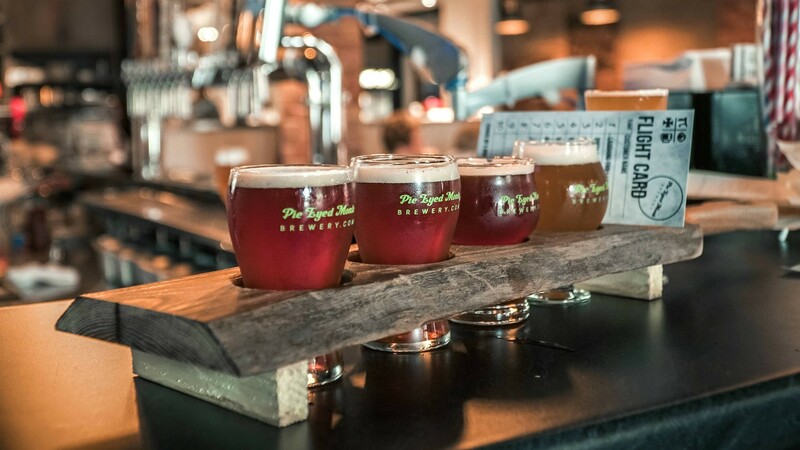 Enjoy the great outdoors and savour the inside of some of the region's best craft breweries. 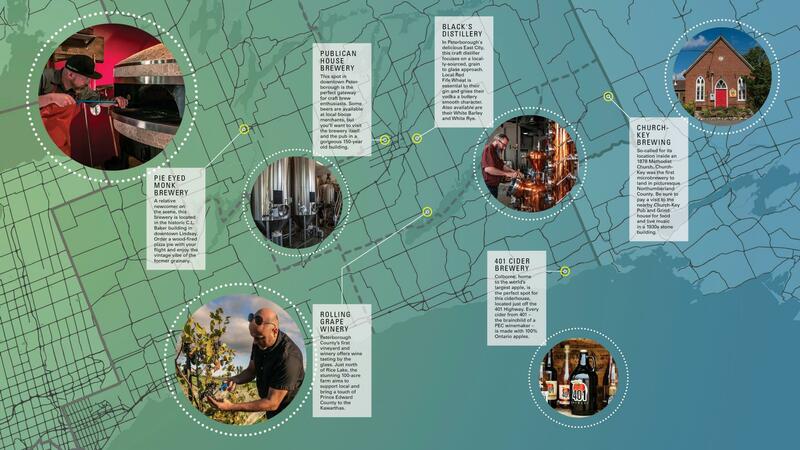 We may be at the centre of a craft beer revolution here in Toronto, but the rise of amazing experiences in the brewery business has spread to the lesser-known corners of Ontario in recent years. Brewmasters like John Graham, who started his career in Toronto, have made a splash by bringing their unique local brews and passion to one of the prettiest parts of the province. Areas like Prince Edward County and Muskoka are by now pretty well documented as craft beer destinations outside the GTA. But while Torontonians will be familiar with the Kawarthas as a well-trodden spot on the summer cottage circuit, many might be surprised to learn that the larger Kawarthas Northumberland region is also a playground for foodies and culture lovers all year round. Kawarthas Northumberland is a picture-perfect combination for road tripping. 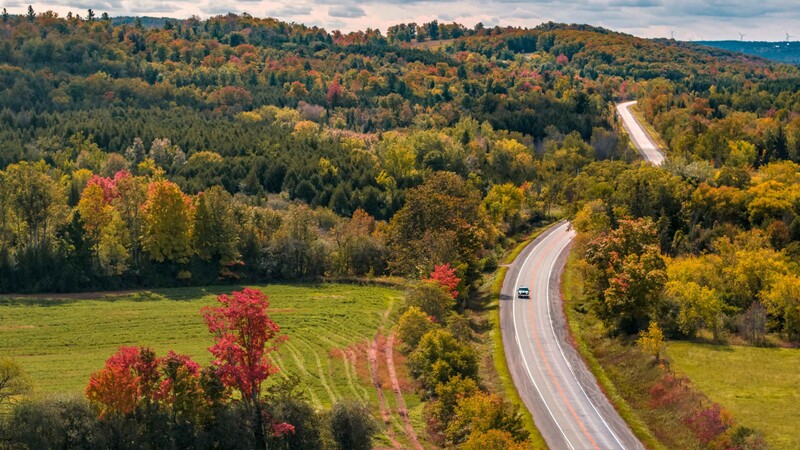 Connected by the lakes and rivers of the Trent-Severn Waterway, the region brings together the rolling hills of Northumberland County along the 401 corridor with the iconic escape to the remote Canadian Shield and stunning Kawartha Lakes farther north. With such diverse offerings on tap, it's best to sample one area at a time. Discover over 50 sites along the Kawartha Lakes Arts and Heritage Trail, including Neil Young's hometown of Omemee. 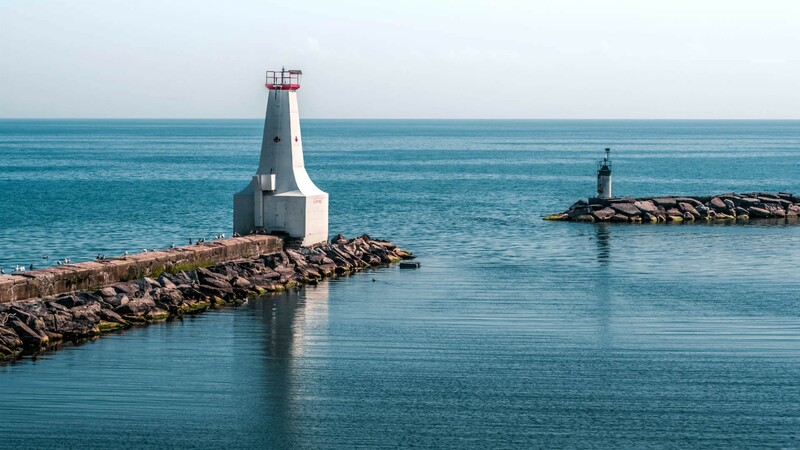 Take in the rich music and foodie scene in Peterborough, or enjoy a taste-of-place with a great view in the 19th-century waterfront towns of Cobourg and Port Hope. 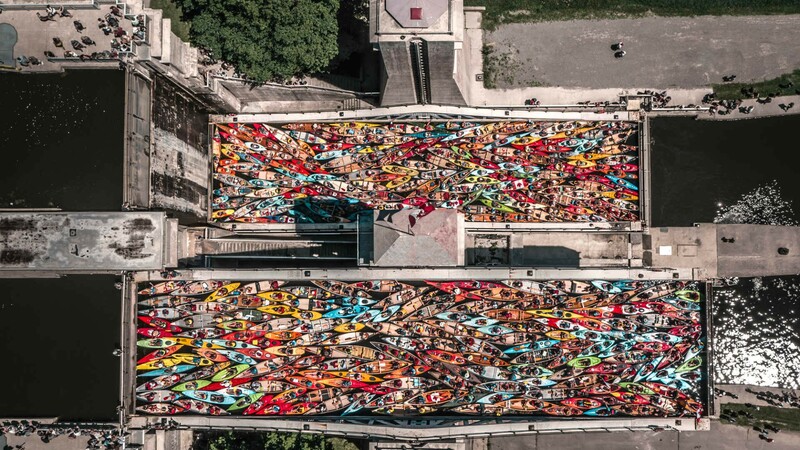 Whether you're canoeing in the lakes, discovering Indigenous artwork, sipping on award-winning beer, spirits and ciders from vintners and brewmasters or simply kicking back at one of the many inns and B&Bs in the region, you're sure to find an all-senses escape in Kawarthas Northumberland. Win a culinary trip for two to Kawarthas Northumberland. Click here to enter! Locally-sourced, award-winning food and brews are on tap in this craft booze hot spot. Like Toronto, the Kawarthas Northumberland area has seen a surge in craft breweries in recent years as consumers move away from big corporate beer providers and towards smaller, homegrown makers. 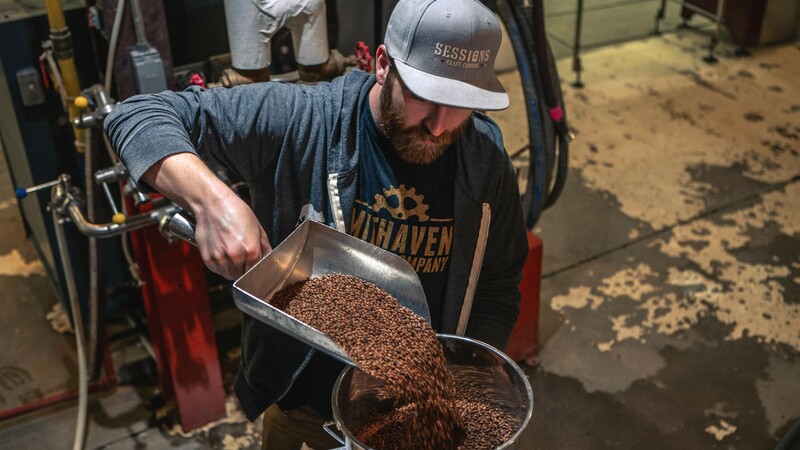 The region now has 19 artisan producers including the family-owned Smithavens Brewing Company, Northumberland Hills Brewing Company and (opening in 2019) Fenelon Falls Brewing. The Trent-Severn Waterway is the beautiful backbone of the region, connecting over 350 lakes and rivers, linking together dozens of towns, water-front watering holes, many provincial parks, the Kawartha Trans Canada Trail, and many craft beverage producers. 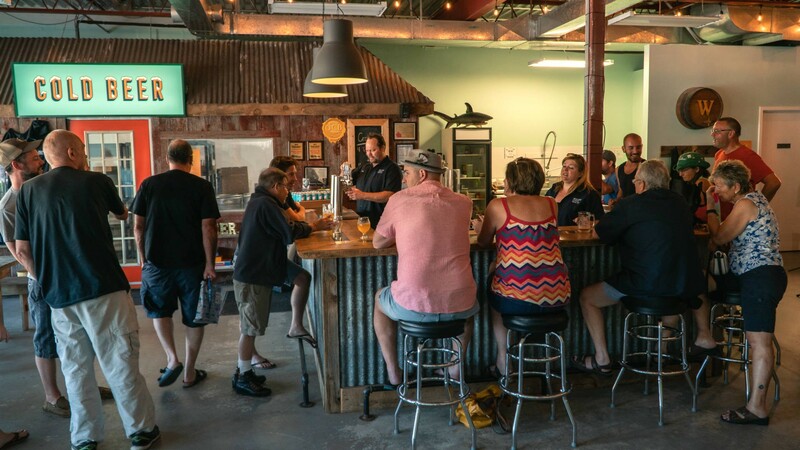 One of the best things about the region’s brewing and distillery scene is the makers' passion for their craft and the unmistakable connection to their locale. The field-to-glass movement has seen the area’s unique terroir contribute to the distinct character of some of their most popular tipples. From grape to grain, this is your Kawarthas Northumberland sipping cheat sheet. 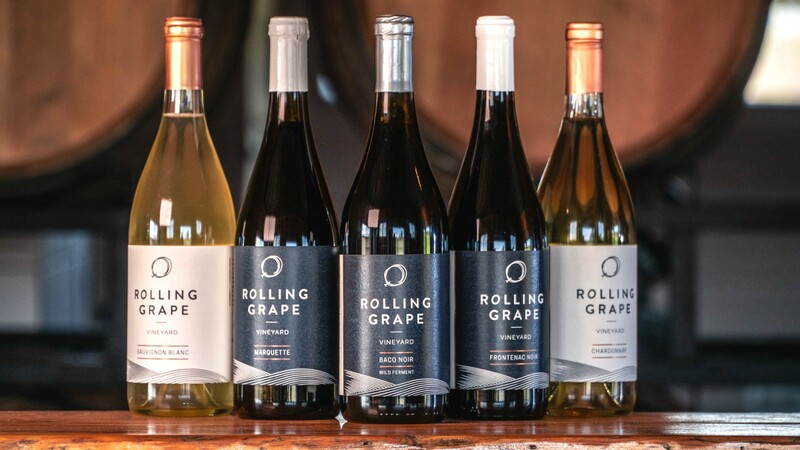 What began as an experiment by Jon Drew and Katie Dickson on their family farm has blossomed into the Rolling Grape Winery. They focus on growing unique and hardy grapes on the hills overlooking Rice Lake. Soak up the stunning view from their patio while tasting the winery’s lesser-known varieties, like their signature Marquette and Frontenac, or their dry and tannic Amplified Orange. 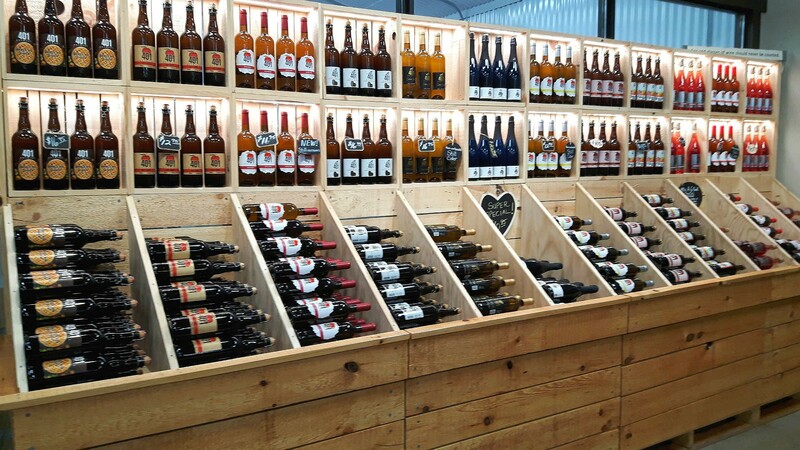 Wine tastings are on offer or you can buy a bottle to take home. John Graham, founder of the award-winning Church-Key Brewing, is an influential figure in the craft scene. After honing his skills in Toronto, Graham purchased a church in Campbellford in 1999 and began producing small-batch ales with a commitment to sustainable practices. 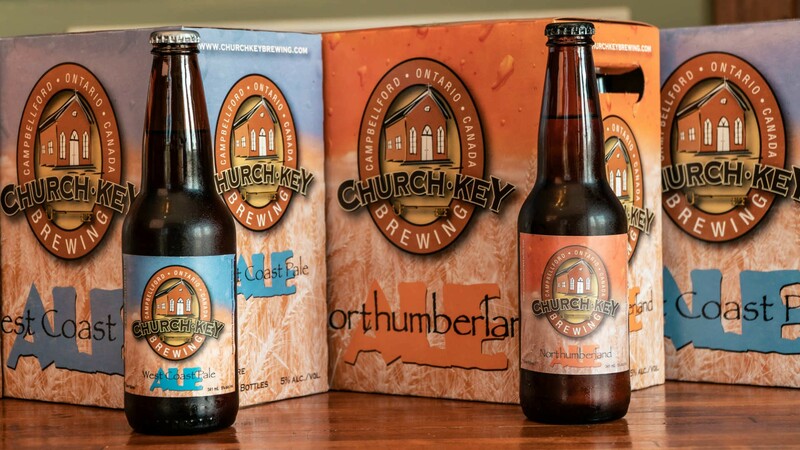 Popular brews, like the flagship Northumberland Ale, are available at the LCBO -- but we recommend attending church for the full (and relatively guilt-free) experience. A must-stop on your tour, this gorgeous downtown brewery is a leader of premium craft beer in the area. The Publican House’s brews go through rigorous testing at the on-site lab before they’re poured. Enjoy the spoils of their labour on a brewery tour by grabbing one of their rotating seasonal, small-batch brews new for 2019. Time your visit to coincide with the Kawartha Craft Beer Festival in June, run by Publican and Smithavens Brewing. With a wide range of award-winning ciders available all-year round, this cider house is the perfect pit stop on your way to or from Toronto. With Amy Baldwin at the helm, a wine producer for Waupoos Estate Winery and Clafeld Cider House in Prince Edward County, it’s no surprise that the options at 401 Cider are bold and experimental. As well as a lineup of classic ciders, they offer more unusual and interesting flavours like Apple Pie, Oh Honey and Almond. If you want to pair your cider with snacks, friendly staff will help you pair a flight with bites to better understand the flavour profiles and balance. Whether you snag a spot at the tasting bar or sneak a behind-the-scenes look at production in the retail space, you're guaranteed to leave more cider savvy. Aaron Young and Jennifer Boksman may be new to the craft beer scene, but they've already hit gold with their range of easy-drinking lagers, and hoppy IPAs and English Pale Ales at Pie Eyed Monk Brewery. Highly talented brewmasters Sandra Chadwick and Keanan Schiedel-Webb (whose parents own Haliburton Highlands Brewing) consistently produce creative brews like Monk’s Madness, made with Hardway Farms hops, and their popular stout, Murph’s Daily Ration. Inspired by his heritage and the spirits made from scratch in Scotland, Robert Black set out to create distinct craft beverages produced from the most naturally pure ingredients possible. 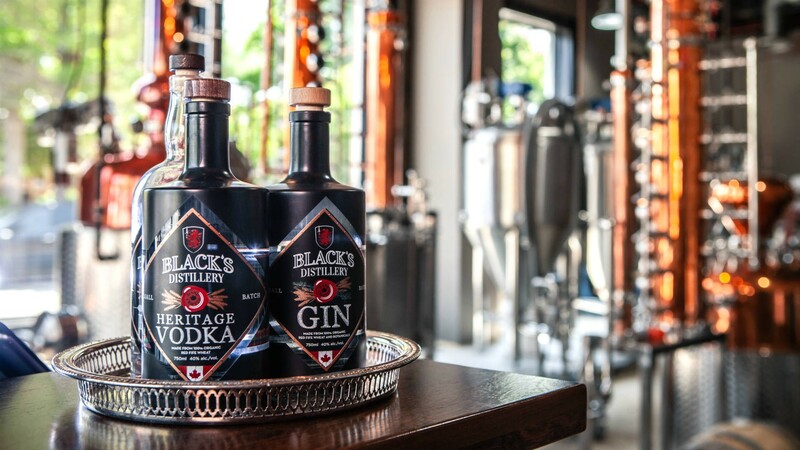 Made from Red Fife, a heritage grain developed in the area, Black's Distillery’s soft, smooth artisan spirits have helped put Peterborough on the map. From a peppery vodka that packs a punch to rye whisky with no added corn, expect the unexpected at this grain-to-glass spot. It doesn’t get much more local than Red Fife – Canada's oldest strain of wheat, developed by Peterborough farmer David Fife in the 1840s. The Olde Stone Brewing Co. offers a Red Fife Wheat Ale, while Black’s Distillery, located on Hunter Street East in Peterborough, uses the treasured grain to produce grain to glass spirits like vodka and gin. While the rise in craft popularity may be recent, the region has strong roots in beer making. Henry Calcutt, the fifth son of brewer and distiller James Calcutt, moved to Peterborough in 1855 and later bought the Olde Stone Brewery – one of the first breweries in Peterborough, from which Olde Stone Brewing Co. took its name. Henry Calcutt's lager innovations are still used in breweries today. The Publican House Brewery’s “Henry’s Irish Ale” is named in Calcutt's honour and has won multiple Ontario Brewing Awards – just some of the twenty plus accolades the region's beer has received. And the area is getting noticed for more than just suds. If you prefer apples to hops, you must head to one of these local watering holes to try Empire Cider Co. – a small operation that graduated from hobby to business in response to rave reviews from friends and family – which produces extra dry, traditional hard cider from Ontario apples. Family-owned vineyards are also springing up. Enjoy a slice of Italy in Ontario with the 100-acre Villa Conti Oak Heights Winery in Warkworth and the Rolling Grape Vineyard in Bailieboro. Located farther north, in the heart of cottage country, Kawartha Country Wines specializes in fruit wines and has taken home seven awards at the All Canadian Wine Championships. 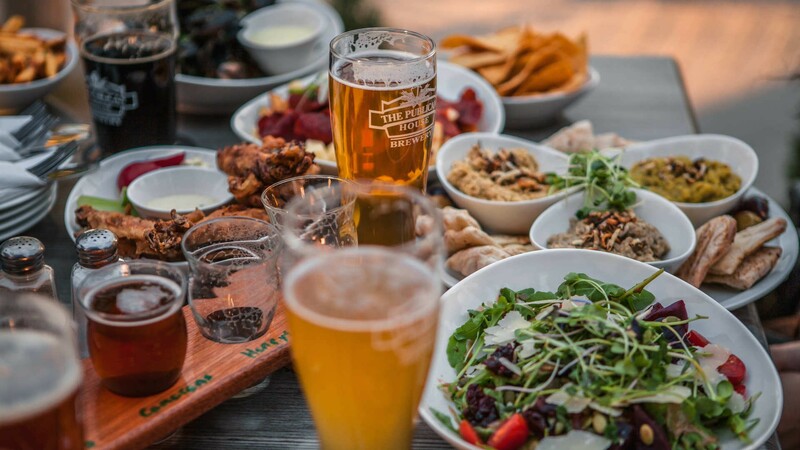 Anyone enjoying a drink or two knows that it’s best to line the stomach first – so it’s just as well that Kawarthas Northumberland is well stocked with top-tier dining choices. The local food movement is nothing new to the area, which has a well-established farm-to-table reputation. Thanks to the area’s fertile farmlands and fresh water supply, a plentiful local harvest serves its restaurants and farmers' markets. Enjoy a guided food tour in downtown Peterborough and Warkworth to discover where your food and drink come from. 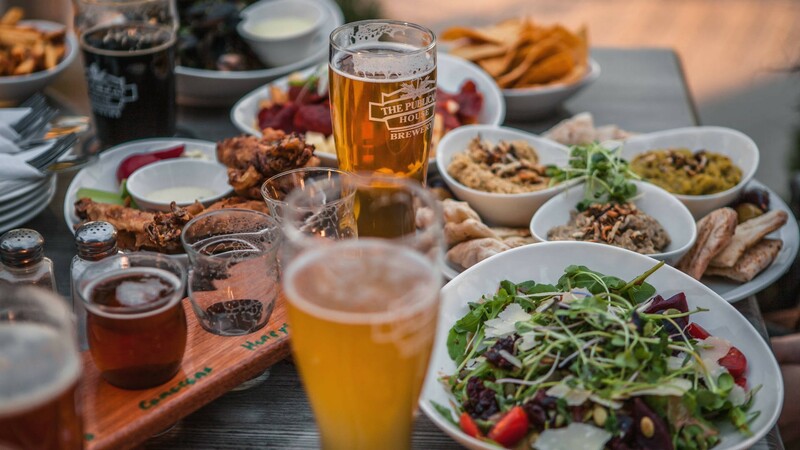 Or take in the landscape with a pint in hand at The Whistling Duck Restaurant, home to great food and beautiful panoramas of Presqu'ile Bay just west of Prince Edward County. The Mill Restaurant and Pub in Cobourg, The Social Bar and Table in Port Hope and South Pond Farms (as seen on the Netflix series Taste of the Country) are all committed to sourcing Ontario grown and made food and drink. Kawarthas Northumberland has mapped routes to plan your perfect tour. However you navigate the region, there's a trip and a beer with your name on it. 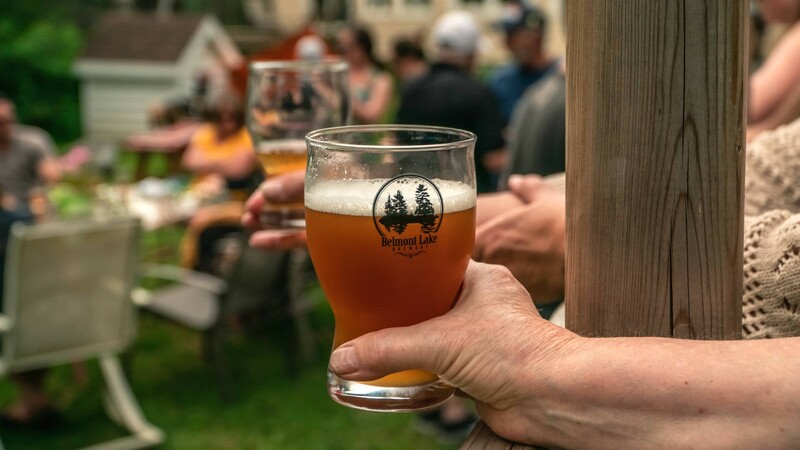 Explore Kawarthas Northumberland's best watering holes and taste unique beers, wines and spirits. From ale trail to vodka voyage, there's a craft beverage to wet your whistle. Photos by Justen Soule with the exception of 401 Cider Brewery.